GREIFENSEE (CH) - In our ever-changing world, driven by demand for more accurate information at every stage of the supply chain, weighing technology is constantly evolving. 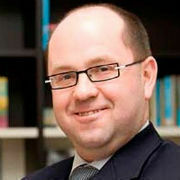 Today’s competitive business landscape requires companies to keep up with current technology to enhance product quality and to maintain their competitive edge. In a new white paper, “Modern Weigh Modules,” the experts at METTLER TOLEDO have outlined the features found in state-of-the-art weigh modules and how they benefit users. 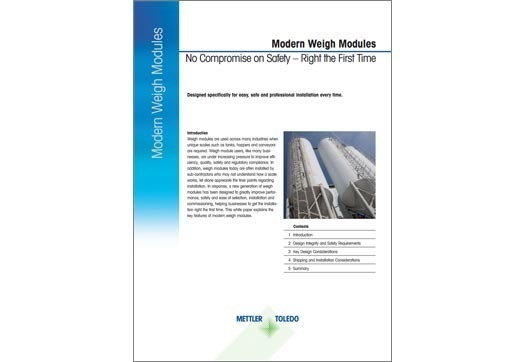 The free white paper outlines the analysis and testing methods employed in modern weigh module design to ensure the integrity and safety of the systems of which they form an integral part. It discusses the key design considerations and how these ensure long life and excellent performance and safety, providing peace of mind. In addition, a section is devoted to features that simplify the installation process, making it safer and easier to achieve a professional installation, even for non-expert installers. The white paper concludes that modern weigh modules are very versatile and feature-rich, and that you can expect the installation to be right the first time.